FlipSide programmes festival projects that stimulate, inspire and help transform people's view of the world, with high quality literature, music and arts events with a distinctive, international dimension and a joyful Latin-inspired vibe. FlipSide is the sister festival of FLIP (Festa Literaria Internacional de Paraty) South America's first and largest international literary festival and has welcomed artistes from all around the world at its festivals at Snape Maltings and in other venues across East Anglia. With stimulating talks, poetry and cross-cultural conversations FlipSide offers audiences events with writers including Margaret Atwood, Ian McEwan, Milton Hatoum, David Hare, Jackie Kay, Bernardo Carvalho and Michael Ondaatje as well as film and visual arts, great food and lots of interactive workshops and activities. FlipSide's musical programme has featured Bebel Gilberto, Gilles Peterson and Monica Vasconcelos as well as dance and capoeira. 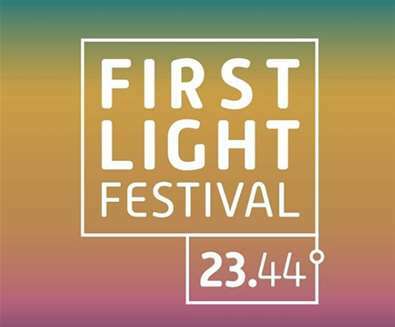 For 2019 FlipSide will be producing the brand new free, First Light Festival for Lowestoft in collaboration with Hemingway Design - with music, dance, talks, walks, science and arts, all taking place on Lowestoft's sandy beach and seafront. First Light Festival runs continuously across the summer solstice weekend, from midday on Saturday the 22nd of June, through to midday on Sunday the 23rd. Join us on Lowestoft South Beach through changing tides, light and darkness, sun and stars for a unique shared experience with music, dance, film, talks, walks, sports and workshops as well as the best local and regional food, drinks and produce.